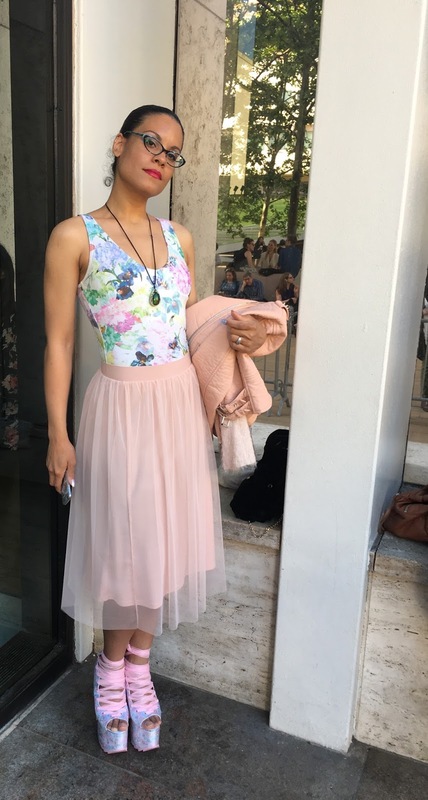 Nothing says 'not a native New Yorker' like thinking it was chill to show up at the Metropolitan Opera House for ABT's performance of Giselle straight from the office, in my most 'Ann Taylor Loft meets your grandfather's Goodwill donation box' business casual outfit. I am proud, as a nod to NYC style, to say my frumpy self stuck out like a spicy shishito pepper. It seemed like every other guest not only showed up, but showed UP. I saw grandmothers in head-to-toe sequins holding hands with baby grandsons rocking blazers that put to shame any suit walking around Fulton Street Station on a Tuesday. Through the sea of sharpness, I easily spotted this little lady, not only due to her kicks being higher than 432 Park Ave, but because the swag oozing from her pores smacked me in the face within moments of crossing her general vicinity.